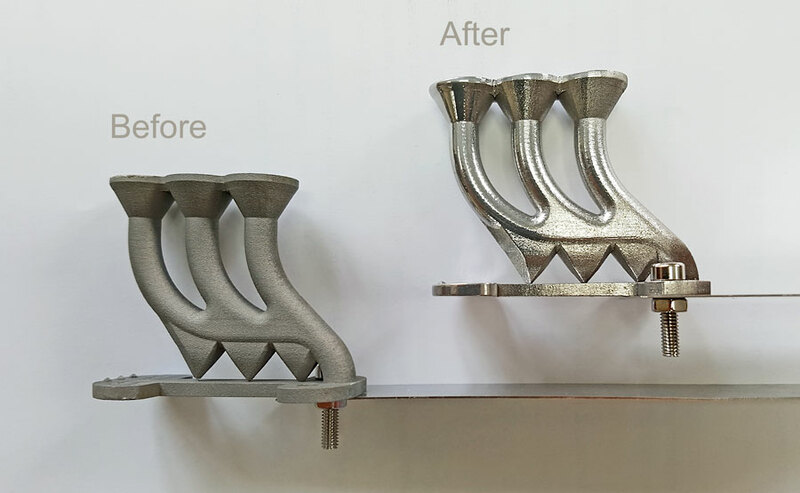 The Wallwork Group, a vacuum/plasma process specialist, is pioneering a new technology to remove the rough and irregular finish that is typical of additive manufactured (AM) metal components. The project is an international collaboration with the University of Manchester materials science department along with an AM processor in France and dental implant manufacturer in Italy. Supported by European Commission funding under a Fast-Track to Innovation Pilot, the 29-month programme, starting with a proven process technology, will transfer into live deployment in manufacturing plants. The programme follows on from an earlier Innovate UK supported research project, SEAM, a feasibility study to prove the effectiveness of plasma smoothing metal components made by additive manufacturing processes. The technical challenge is that AM components, created by sequential fusing of metal powder, have a rough and unattractive surface finish. As the AM process is particularly suited to producing highly complex parts that would be difficult to produce by any other method, these parts are both problematic and expensive to smooth using mechanical techniques and also may require some hand finishing. This time-consuming and costly final processing slows the production cycle and undermines the economic viability of additive manufacturing, sometimes preventing its adoption for many applications. Wallwork Cambridge operate one of Europe’s largest facilities for the application of advanced micro-thin coatings for aerospace, motorsport and medical applications using physical vapour deposition (PVD) and plasma enhanced chemical vapour deposition (PECVD). The complex machines, software and control systems required for these processes are manufactured and developed by the company. This machine-build and applications experience facilitates rapid commercialisation of the plasma smoothing process, enabling the company to scale-up the patented process and build the bespoke machines required for economic component finishing. This press release was distributed by ResponseSource Press Release Wire on behalf of Ainsworth Maguire in the following categories: Business & Finance, Manufacturing, Engineering & Energy, for more information visit https://pressreleasewire.responsesource.com/about.